If you want to provide people with REAL WORLD RESULTS then Hypnosis Without Trance is for you. 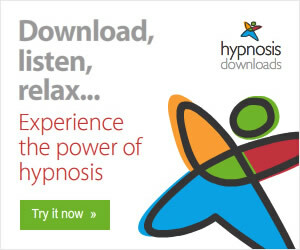 If you're ready to use a fresh and updated approach to Hypnosis you'll absolutely love this program. 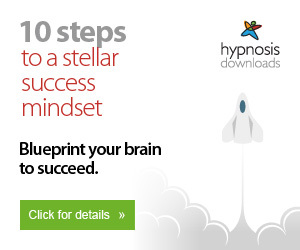 Hypnosis Without Trance (non affiliate link) is James Tripps flagship program. This program is definitely not for everyone. To be blunt. Hypnosis Without Trance is a combination of powerful Hypnosis techniques and a stick of dynamite!! In the wrong hands it could be deadly. In your hands it can move mountains! Successfully and convincingly elicit strong hypnotic phenomena (catalepsy, amnesia, hallucination etc.). Effectively utilise the true ‘mechanisms’ of hypnosis and avoid outdated ‘folklore’. Be capable enough to work with a range of subjects across a range of contexts. If you’re the kind of person that likes to stay stagnant and stick to old school routines this isn’t for you. 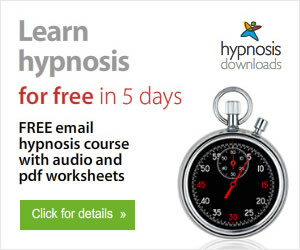 On the other hand if you want a new and fresh approach to Hypnosis you’ll love this program. I recently interviewed James about his Hypnosis Without Trance protocol. You can hear the interview below. Listen to the Hypnosis Without Trance Review on youtube. Not everyone is a fan of James approach to Hypnosis. Hell not everyone is a fan of me either. Any time new concepts are introduced into the Hypnosis/NLP community people tend to bash the ideas. The bottom line is this. Hypnosis has been around since man has been around. Things come and go and times change. Why should you hold onto an outdated system? There is a reason that a lot of trainers and “experts” hold on to these old and somewhat confusing systems. A lot of the so called experts in the Hypnosis community want you to remain confused. The more confused you are the more they can sell you on their trainings. This is where the Hypnosis Without Trance system take a 360. James does a damn good job of boiling all of the concepts into easily understandable chunks of information. No single Hypnosis training product is perfect. Even though some slick marketer can make you tons of promises this doesn’t mean a damn thing. James is an extremely ethical Hypnotist. No hyped up promises. You have the option to download the material instead of having a hard copy. Its not a magical pill. You need to study and practice it. I’m a stickler for sound quality. Some of the videos of James demonstrating the Hypnosis Without Trance protocol in public don’t have the best sound. “Quite simply, I had high expectations for you and this course and you’ve more than exceeded them. It’s even better than I hoped for, worth (much!) more than I paid. Jerome Finley – Hypnotist and Master Mentalist, U.S.A. If you want to learn a fresh and new system then Hypnosis Without Trance is for you. I do my best to be as unbiased as possible. This is why I am upfront about being an affiliate and also talk about the flaws of the various programs I review. I really do hope that you enjoyed this Hypnosis Without Trance review. P.S. If you already have James program could you leave me a comment and let me know what you think of it? Thanks! If you know of any other Hypnosis Without Trance review on the internet please let me know. I’d like to see other peoples opinions on it. P.P.S. Are you on the fence on whether or not this program is right for you? If so I wouldn’t suggest that you buy this program (non affiliate link) until after you watch this video below. a great review. I have to say I don’t YET own HWT as I have several other courses to work through. However I would like to tell you about some interaction I had with James Tripp. I called James one day to ask his advice on training and progression with my client work. Unlike many people who become well known I can say that James spent a lot of time with me on the call, he freely offered advice, he was supportive, knowledgeable and sincere. At no time did I feel rushed or that he was annoyed that I had called him to pick his brains. Now I really hope this does not open the flood gates of people wanting to call James for free advice but based upon my telephone conversation with him I would have no hesitation in recommending James’s course or his in person trainings. Remember I said YET. I fully intend to train with James in the future and so should you. Thanks for the comment Ian. James is a wealth of knowledge. I had a blast reviewing Hypnosis Without Trance and interviewing him. You’re right about James being an easy going guy. He goes out of his way to help his students. P.S. Make sure to subscribe to the newsletter to get updates on new reviews and free trainings! P.P.S. James and I have talked about doing a webinar in the very near future. I’ll try to keep you posted. Hi. I’ve been studying James’ Hypnosis Without Trance approach for some time now having bought his Hypnosis Master training programme. The programme is absolutely fascinating and well worth the money. I’ve explored a lot of hypnosis training products and the work of James Tripp is by far the best in my opinion. His approach is original, thought provoking and very creative. I love the way he blends theoretical perspectives with practical demonstrations – he always creates an appropriate context for the work he does which really helps to get to grips with the techniques. I’ve also been fortunate enough to attend a couple of training workshops with James and they were wonderful. A have learned so much from him, not just about hypnosis but about chnage-work in general. My effectiveness as a coach has improved enormously since studying the HWT approach. I’ve watched some of James’ videos before and really liked it. I like real people doing real work in this industry. Those who position themselves “expert” and point fingers to anything new are very naiive and laughable. Let’s not focus on those – because everybody does have their freedom to do what they like to do even though it’s laughable activities – and applaud those who are genuinely contributing to the community. I have the courses from Igor L. (far too bloated), Steve P. (almost fell asleep…) and some more, plus some books and DVDs and what not but this one here is by far the best program I´ve ever come across. It was the first one explaining what actually get´s the hypnotic focus and loop running which all the other courses fail to deliver if you ask me. Steve, sorry but I disagree about Igors material being bloated. He does a damn good job at taking complex concepts and boiling them down. If you ever get a chance to attend a live training with Igor do it!